I’m losing my temper on reading articles and forum posts about Windows 10. There are tons of posts and comments that are just rumors and untrue quoting Microsoft stated such things. Windows 10 will be a free upgrade for everyone running a legitimate copy (Thus, not pirated one) of Windows 7 SP1, Windows 8 or 8.1 OS. This free upgrade currently has an exception for those running enterprise editions of the said OSes. As enterprise edition is for businesses (Microsoft is planning a new scheme of subscription for this users). As a consumer, you can get the Windows 10 upgrade for free if you downloaded it on Windows update within 1 year from its release date. Given that said, you are able to do a free upgrade until July 29, 2016 since Microsoft announced the roll out of the OS on July 29, 2015. After this grace period, you do need to pay for the upgrade. The upgraded version of Windows is valid for the LIFETIME of your device. It is not going to expire after 1 year. You are going to get every minor updates of Windows provided that Microsoft still supports Windows 10. There is no new key Microsoft is going to provide for the upgraded version. Meaning, to run Windows 10 on a new device in the future, you should pay for it or atleast buy a device that is already running the OS. Also, Microsoft stated that Windows 10 is the last major version of Windows. Hence, the company is now going to the path Apple has chosen – releasing updates on devices for few increments a year for FREE. Those who are running insider preview copies are also eligible for a FREE UPGRADE to the new version of windows once it is released – given that they installed the insider preview on a machine with a valid license of at least Windows 7. There is no way for pirates to have the new operating system validated without any cost. Windows Insiders can upgrade to Windows 10 directly from the preview build. They are not required to roll back to the previous version of Windows to do the upgrade. Clarification: Non-genuine or non-legitimate Windows users can download the Windows 10 upgrade. They can install it for free but they will not be given a legitimate license by Microsoft. Pirates will stay being pirates. Yes. They can do a free upgrade but No. 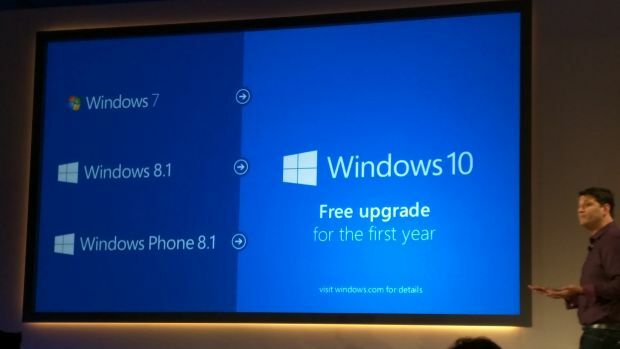 This free upgrade is still illegal and not supported by Microsoft. Microsoft has chosen the path as how Google and Apple generate money. Give the OS for free and earn money through the appstore and possibly, additional services and subscriptions such as Office365. Microsoft do not state in any way that consumers do need to subscribe just to run Windows 10 on their devices. If you still do not believe this post about Windows 10 free upgrade, visit http://microsoft.com or http://windows.com as they are only the viable source of information. If you find any wrong information in this post, kindly comment below so that it can be revise.